As a military homebuyer, you probably bought your home in a neighborhood that was convenient to your military commute or lifestyle, meaning other military members would think the area was a good choice, too. As your PCS date approaches, the plan for selling your home should be taking shape. One of the best tactics to attract military home buyers is to make sure the property is conducive for those hoping to use a VA loan. This includes a very inclusive marketing plan with convincing pictures and descriptions. Because the benefit is so popular in military dense areas, the regulations the VA dictates are one of the first updates or renovations any military homeowner should tackle to attract the biggest buying audience. With these tips, prepare your property for the optimal chance of a smooth and quick process for a VA buyer to close the deal. In order for a VA home loan to process, a VA appraiser is required to inspect and approve the Minimum Property Requirements (MPRs). Some MPRs are up to the appraiser’s interpretation, and others are very specific. Property must be residential. Commercial property cannot be purchased with a VA loan. Home business may not exceed 25% of the total floor area. The property must provide enough space for suitable living, including sleeping, cooking, and sanitary accommodations. Electrical and plumbing systems need to be in good working order and have a reasonable time frame of future use available. Safe and adequate heating systems are required. Homes with wood burning stoves as the primary heat source also need to have a conventional system to ensure 50 degrees Fahrenheit is maintained inside. Water and sewage systems have to meet local regulations in addition to health department standards. Hot water in the house is mandated. The current state of the roof should be satisfactory without the visual signs of disrepair, ensuring realistic future use. Pooling and dampness in crawl spaces has to be corrected. Additionally, the access should be clear of debris and have proper ventilation. The property must have utilities for each living unit, which is typically the whole house for a single-family residence. Safe access from the street is mandatory: driveways or permanent entries to the house for entrance. The property must be free of hazards that would harmfully affect the health and safety of the buyers. Some defective conditions considered are poor construction or workmanship, excessive leaking or dampness, settling foundations, and decay. The property must have a properly graded lot to avoid water damage from gathering water near the foundation. An absence of fungus growth, dry rot, and wood damaging insects is required. It's common for a termite inspection to be ordered by local governments. Homes built before 1978 necessitate inspection for lead based paint. Any lead paint found must be remediated. By preemptively addressing any repairs needed, you can alleviate extra waiting time for the VA loan to be processed and approved. Major infractions of the requirements could result in an outright refusal of the property. Consider hiring a qualified home inspector very familiar with VA MPRs stipulations. The inspector will offer very specific suggestions for adhering to the VA’s regulations. By putting yourself in the buyer’s shoes, financially speaking, you’ll be able to understand the basics of their finances and what they can afford. Multiple reviews of the Defense Travel Management’s Office BAH Calculator will demonstrate which pay grades most likely would consider your asking price. Investigating mid-level pay grades, typically E-6 to O-3, is a good place to start. However, it is essential to research your local market and closest bases. They may be home to predominantly higher or lower pay grades. 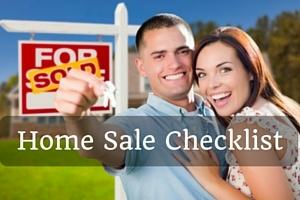 Be aware of costs that a buyer using the VA will typically pass on to you as the seller. Closing and processing fees are deemed non-allowable fees by the VA. 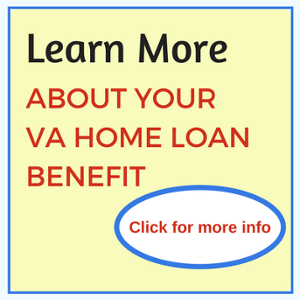 Although some lenders waive these on VA loans, the seller frequently incurs the fees. This may be a point of negotiation for you an the buyer. 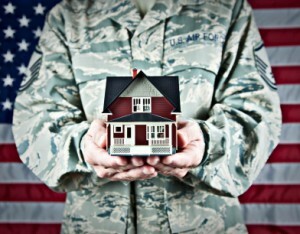 Military homebuyers often contend with a strict or short timeline for house hunting and buying. Either with or without working with a real estate agent, an enticing marketing strategy is unavoidable. Prepare to wow buyers immediately, otherwise they will move on to homes with better pictures, videos, and web presence, mostly because time is not on their side. High quality photography is vital. Using the best camera option you have available, shoot the most attractive attributes of the house in the best light of the day. This includes the outside of the home. Multiple angles of each room are preferred. Curb appeal reigns supreme as does a move-in ready property. Again, military buyers are typically living a 2- to 3-year tour at each duty station. Most do not want to spend time on a fixer upper. It cannot be stressed enough— pictures that reveal a clean, uncluttered home are the most important first steps for drawing buyers in. The descriptions of your home certainly should include not only the specifics of the property, but also the location of the house. Commute time, availability to base amenities, schools zoned for the location, and public transportation solutions are the details that attract motivated buyers. Military family life requires plenty of storage, often more than a typical family needs. If your property lacks adequate storage options, consider a cost-effective remedy. Being able to boast about a house’s storage solutions early in the property description immediately earns an extra look from buyers. 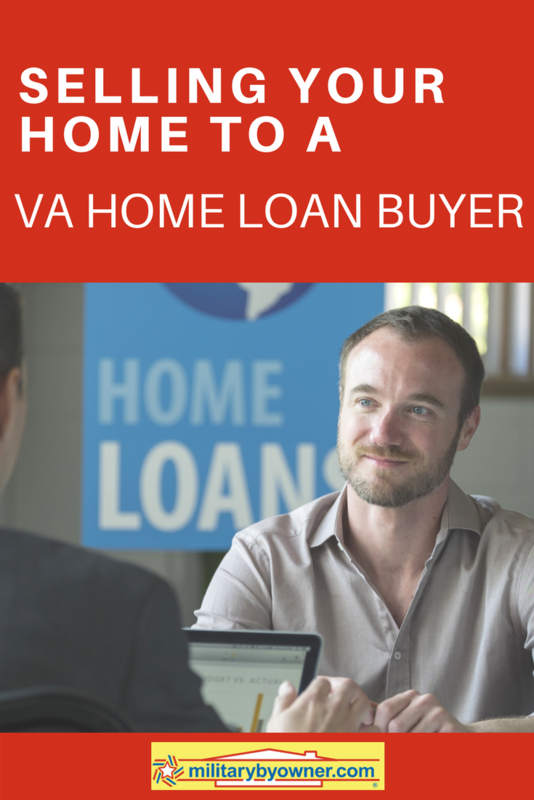 The VA loan buyer pool is a very lucrative crowd to tap into. If PCS plans have you considering putting your house up for sale, utilizing these VA appraiser guidelines will help get the property into selling condition for the best price. Adhering to the recommendations will also pave the path of least resistance for the appraiser to OK the property. Selling your home is a big project to undertake, especially if last minute orders have you unprepared. MilitaryByOwner offers home selling advice that details how to reach your ideal buyers, implement the best marketing techniques, calculate an asking price, and much more.